Spain has kept its current terrorist alert level unchanged but has moved to heighten security in tourist areas, following the terrorist attacks in Catalunya that killed 15 people and injured 100 more. EURACTIV Spain reports. Spain announced on Saturday (19 August) it would maintain the current level of terrorism alert, standing at 4 out of 5, but will strengthen security in its tourist areas and around key infrastructure. Two days after the terrorist attacks in Barcelona and Cambrils (near the Catalan city of Tarragona), the Interior Minister Juan Ignacio Zoido told a press conference the current alert level will be strengthened by intensifying security measures in crowded areas and mass events, with a focus on tourist areas. 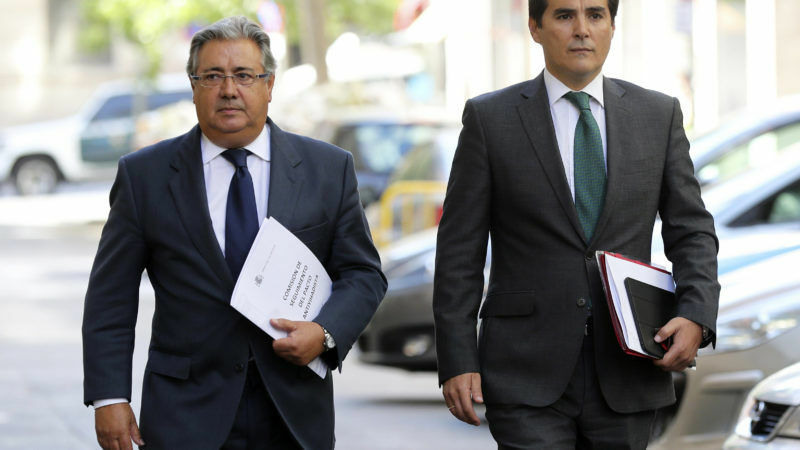 Zoido chaired an extraordinary cabinet meeting on terrorist threats last Saturday (19 August), and later informed Prime Minister Mariano Rajoy of his decision. The meeting was attended by the heads of Spanish security forces and anti-terrorism corps, as well as regional police representatives from Catalunya and the Basque Country. They unanimously decided not to raise the terrorist alert level to 5, which would entail deploying military in the streets, signifying that they saw no risk of “pending attacks”. Nonetheless, the anti-terrorism task force decided to intensify preventive action in areas considered potential terrorist targets and to strengthen the resources and personnel dedicated to responding to terrorist attacks. It also decided to enhance collaboration with the local police and include them in the Terrorism Prevention and Protection Plan. Spain heightened its terrorism alert level to 4 on 26 June 2015, after the attacks in Tunis, France, Kuwait and Somalia. It has never reached level 5. The ministry of Interior invited Spanish municipalities to consider putting in place cement blocks and flower pots along key roads to prevent further terrorist attacks carried out by driving vehicles into pedestrians. The Police Department of Public Safety reminded the chiefs of police of the attack in Berlin last Christmas, when a truck drove into a crowd of people in a Christmas market, killing 12. The act mimicked an earlier attack in Nice, France, and shared a common denominator: the use of heavy load trucks launched at speed against a crowd, to maximise the number of victims. For this reason, the Police urged a meeting of local police and security forces to establish physical barriers that would help “avoid a similar attack”, requiring local municipalities to install large flower pots and concrete blocks at the entrance to public squares and other gathering areas in order to restrict vehicle access. Other countries, including Italy and Switzerland, have adopted similar preventive measures.